Europe's Copyright Reforms Are More Than (Just) A Boring Policy Change Two weeks ago, the European Commission approved new rules that will change how tech companies are required to deal with copyright infringement on their platforms. Unsurprisingly, it was controversial. 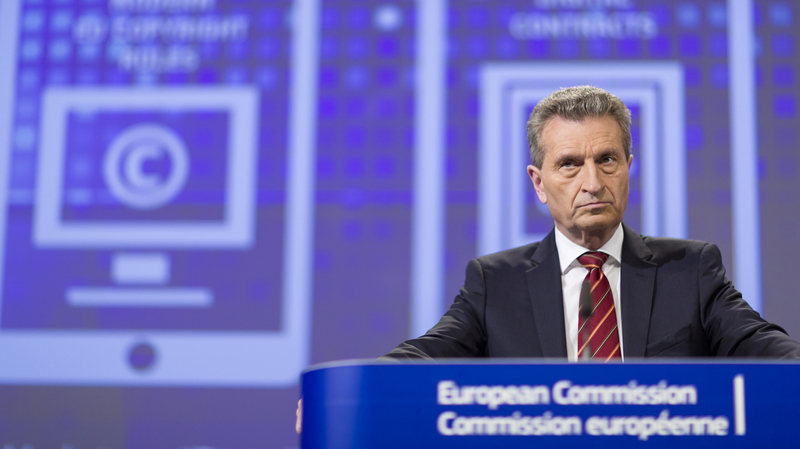 Günther Oettinger, commissioner of the digital single market for the European Union, in a presentation on copyright reform on December 9, 2015 in Brussels.